Maine has a MOVE OVER LAW - Do your part to keep Maine's first responders safe. When you see emergency lights: SLOW DOWN and MOVE OVER when safe to do so. MAP is proud to Support CodeGratitude and CodeGratitude.com! MAP members from Auburn and Lewiston PD keeping thier communities safe at a prescription drug collection event. MAP is proud to be a supporter of Shannon Moss’ efforts to connect supportive businesses with the men and women in Law Enforcement, Fire, EMS and Military by offering discounts and special deals through CodeGratitude and CodeGratitude.com. A service that recognizes our nation's and communities' protectors. 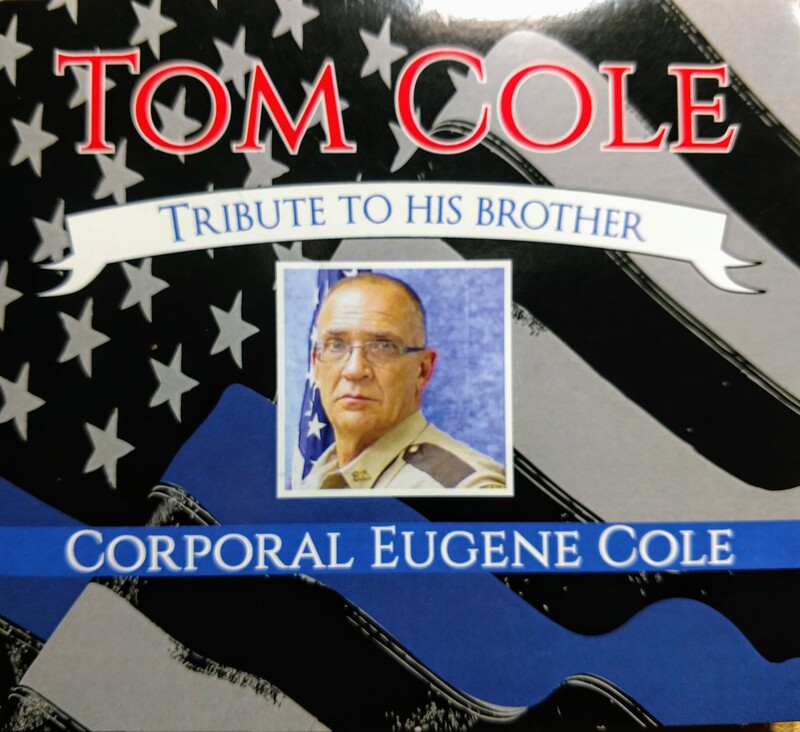 Click HERE To Listen To "Life Without You"
TO PRE-ORDER "TOM COLE; TRIBUTE TO HIS BROTHER"
We are proud to invite our members and supporters to the inaugural Maine Association of Police Podcast; "YOUR SIX"! This is the culmination of a long process of planning, technical assistance and hard work to bring a new level of communication and access to our members throughout the state. Your SIX will provide our members with topical and current issues affecting our law enforcement profession, including; legal, labor, family and all things related to our fraternal concern. We will be using both audio and video casts with a myriad of guests and topics. We are very honored to have Randy Sutton, a national speaker, subject expert, and former Las Vegas Metro PD Lieutenant as our first guest. We will be talking about Randy's new national initiative - "The Wounded Blue" and MAP being one of the first to partner and support the effort! YOUR SIX debuted at NOON TODAY on our Facebook page as well as our website, with the first episode open for public viewing . After this first viewing, this will become a member only accessible service for our loyal members. You can also now view our first episode using the link below. Stay safe and we have Your SIX! "Over the last several years we have spent time traveling around the country performing from coast to coast. During our time we have gotten to know many first responders and have to become quite close. Thanks to these friendships we have been given a glimpse into their lives and the sacrifices they make every day without question. There have been several tribute songs written throughout the years, but we wanted to take their stories and connect them into a piece of work that acts almost as a mission statement to convey the pride and camaraderie that exists in this international fraternity." TO ALL THE MEN AND WOMEN WHO DO THE JOB;, THANK YOU!